When I voted Leave, I fuly expected we would take a short-term hit in order to regain our self-determination. My forefathers laid down their lives for the same principle. 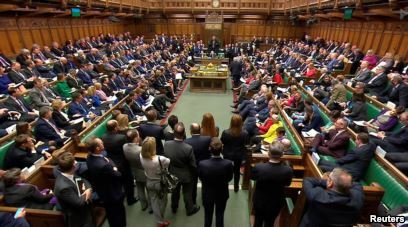 I still expect us to take a short term hit but I want every single one of those contemptible, incompetent scoundrels in Parliament to take a long term hit. They have utterly failed and betrayed our nation. They are useless, self-serving confidence tricksters and deserve nothing more than to be thrown out of office, out of a job, no peerages, no pay-offs and no way back. Earlier, I sent this email to my MP, Sir Oliver Letwin. I think this short piece which I have just published probably reflects the view of most voters whether they wanted to leave or remain. This is the most shameful and despicable failure of British politics in many centuries and we hold you, the contemptible, incompetent scoundrels in Parliament, fully responsible. As for your Machiavellian manoeuvring in recent days, you’re a saboteur both of your own party leader (monstrous harridan that she is) and the electorate’s decision. I regret there’s only one place for you and that’s the Tower. How you can live with yourself is beyond me. The only explanation is your enormous, inconceivable arrogance. Every single one of you should resign. There is no other honourable or reasonable course of action. You have destroyed what was already a sham democracy and turned our nation into an international laughing stock. 34 Years Ago, 255 British Soldiers Gave Their Lives For The Principle Of Self-Determination. That Principle To The EU? I’m for Brexit and it’s nothing to do with immigration, benefits, the economy, xenophobia or any of the abusive allegations made by the remainers, it’s about fundamental principles of self-determination and democracy.